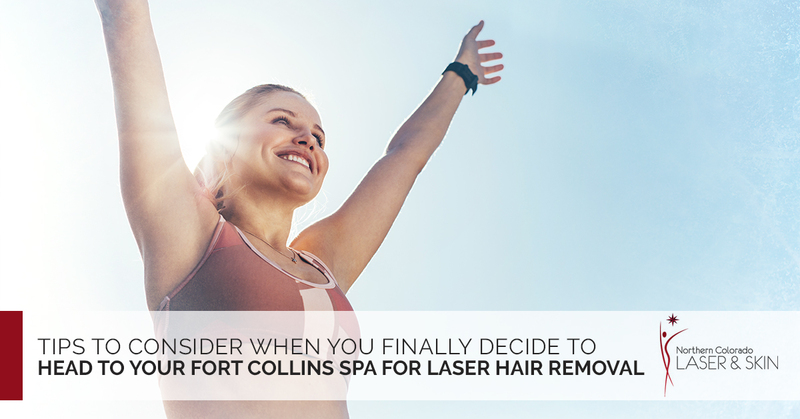 In our last post, we were discussing some tips to consider when you finally decide to head to your Fort Collins spa for laser hair removal. And by Fort Collins spa we mean Northern Colorado Laser and Skin. But we digress. In our last post, we warned you not to seek laser hair removal while you have a sunburn. We also suggested you stay away from tanning salons, tanning lotions and tanning sprays. Now, you don’t have to grow your hair out before you set your hair removal appointment. Remember, the laser works its magic on the follicle, not the hair. Also, laser hair removal is not magical, but scientific, so that last sentence is an error on our part. Now, you should avoid waxing before your appointment, as there does need to be at least some hair on the surface. Many experts suggest shaving 24 hours before the procedure is perfectly fine. If you are hoping that you will become a soft, silky and hairless person after one visit to the clinic, you would be wrong. The process of permanent hair removal will take between 2 and 6 sessions, so you need to have a little patience. As far as how long each laser hair removal session will last, it all depends on what you are having treated. Under your arms and bikini lines are rather quick treatments, but it may take awhile to get to all that hair on your legs or back. Since you are more educated about the procedure, you can now call Northern Colorado Laser and Skin for an appointment.